No matter where I look, it seems as though everyone is coming down with some sort of illness. While the traditional chicken noodle soup is often the first food-related fix for those under the weather, it can get old fast. Luckily, there's another option with the same healthy chicken broth, filling protein and warming properties. 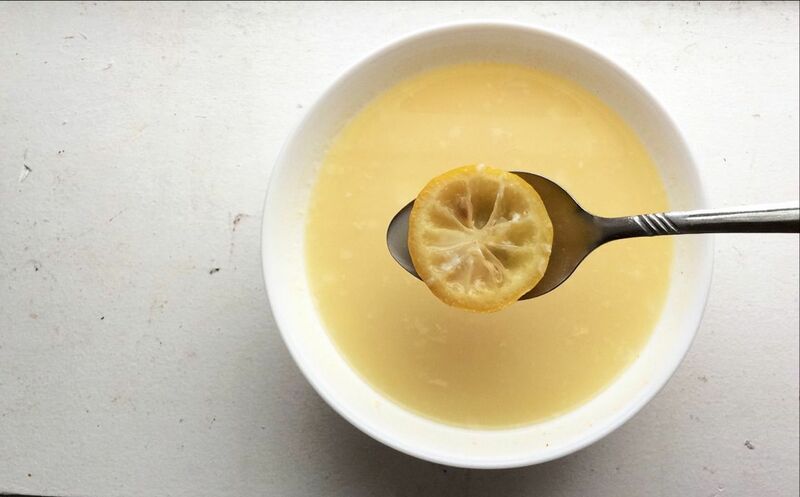 Enter this Greek Egg Lemon Soup. 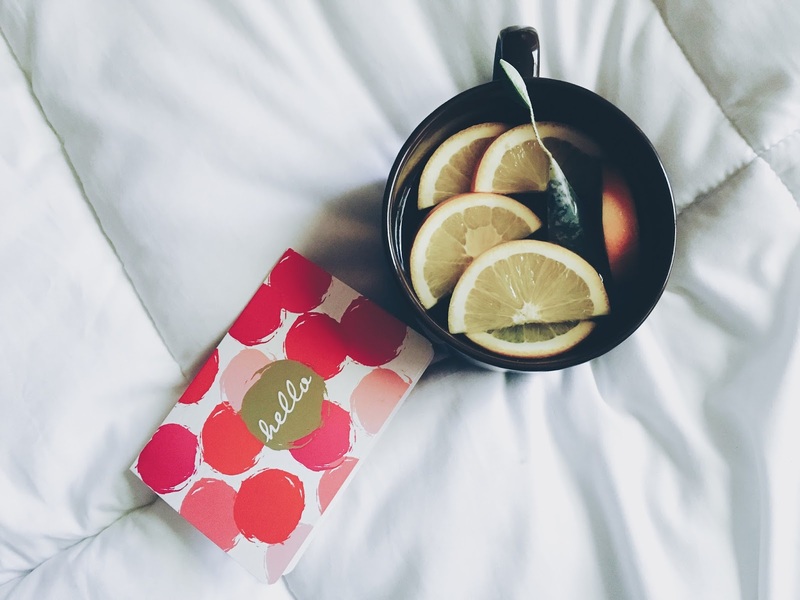 Not only is super simple to make, but it's full of vitamin C to help you move past your cold. Give it a try tonight, and let me know your thoughts. 1. In a large saucepan, bring the broth to a boil. 2. Add the orzo, and cook until tender or about 8 minutes. Season with the salt and pepper and remove from heat. 3. While the orzo cooks, in a medium bowl, whisk together the eggs and lemon juice until smooth. 4. Ladle about 1 cup of the hot broth into the egg-and-lemon mixture, then whisk to combine. 5. Add the mixture back to the saucepan. Stir until the soup becomes opaque and thickens as the eggs cook. Gently reheat soup on medium low but do not allow to boil. Add more salt and pepper, if desired, serve and enjoy. 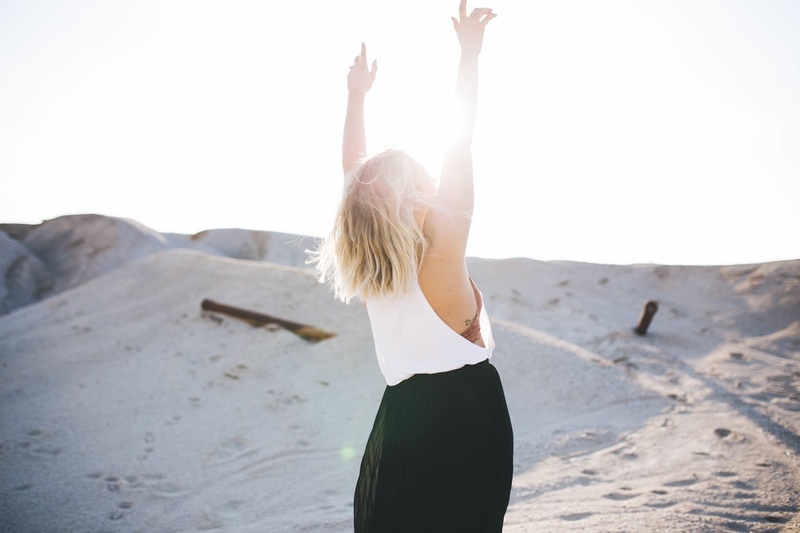 With each new year come new resolutions, and you're thinking of ways to get your body in top shape for all of the adventures on which you are about to embark. Luckily, a few small hacks can help you meet your goals and live a little healthier this week. Class Description: Round out your CTF training with our 30-minute treadmill workout focusing on speed, incline and endurance. The class is designed for maximum benefits in a short format with a focus on increasing overall running performance.These purposefully structured intervals will help you achieve your running goals more quickly than just logging the miles. Open to all fitness levels; these classes are scalable for novice and marathoners alike. Hold on, guys. I need to catch my breath. 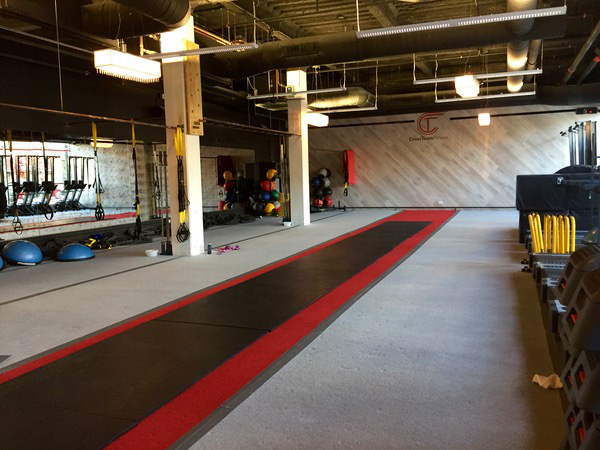 CrossTown Fitness* just added a new class to their roster: Total Body Run. This class has a short 30-minute format focusing on speed, incline and endurance. Instead of tacking on miles, this class’ structured intervals aims to help participants achieve running goals faster. You better believe I tried this out for myself. Now I am not a huge fan of treadmills, and will generally choose an outdoor run over an indoor run because dreadmills are so boring!. No amount of music, TV, podcasts, or audiobooks have ever been able to make me enjoy my time on this contraption. But, given the short, 30-minute format of this new offering, I went in with an open mind. After a few climbs we went into speed intervals where we pushed ourselves to hold a harder effort pace for 60-90 seconds before coming back down to that easy pace and doing it all over again. I actually pushed myself here and was surprised at how fast I was running without maxing my heart rate. That’s The time passed quickly which for once I never begged "please let this end". Have you ever taken a group treadmill class? I haven’t and was pleasantly surprised to find out I didn’t mind it nearly as much as I thought I would! *I attended a free Total Body Run media preview class at CrossTown Fitness. All opinions are my own, as always. Valentine's Day is just around the corner. I don't know about you, but personally, I find the nice dinner at a fancy restaurant plan EXTREMELY played out. Why not switch it up this year? 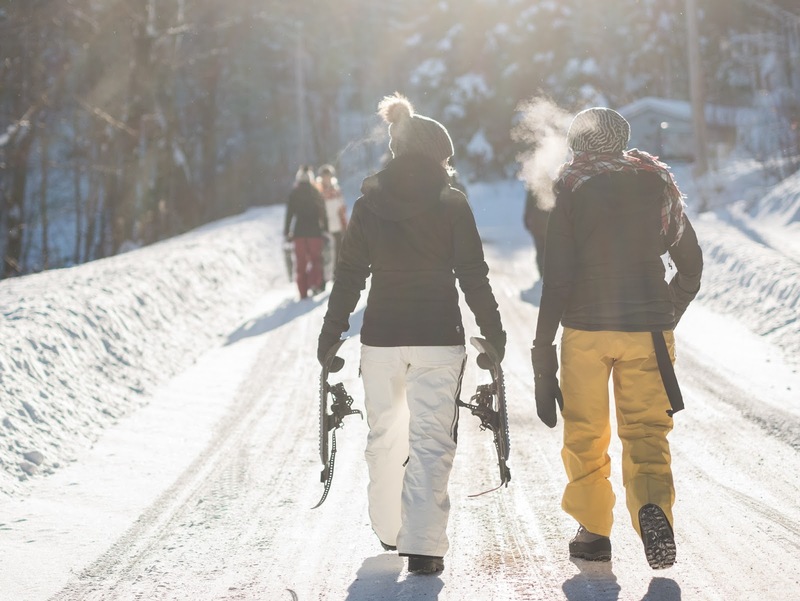 Though personally, I am incredibly and undoubtedly single, I'm spreading the love with some of my favorite active winter date ideas for you to do in Chicago. As per my previous statement, even if you don't have a hot date this year, these work wonderfully for a Galentine's Day fiesta. Now for this idea, you have options. My favorite places to ice skate in the city are Lincoln Park Zoo and Millennium Park both of which are perfect for Valentine's Day. As an added bonus, they are both super affordable and offer skate rentals. Could this get any easier? Provided the temperature is below 45 degrees, Kaiser Tiger turns their massive outdoor patio into the very festive ice curling rink that many have come to know and love. Grab some beers and get your 'curl on'! While this isn't something you can find in Chicago proper, there are plenty of options to found with a short drive. No car? There are plenty of companies and meetups that schedule day trips and transportation to local slopes. Find a list of nearby resorts here. But Jess, viewing art isn't a particularly active pursuit. If you've never been to the Art Institute before, let it be known that this museum is MASSIVE. Whether you want to see just a few or all of their many exhibits, you are guaranteed to spend most of your visit walking. Just be sure to wear a pair of comfortable shoes. Your feet will thank you. Did I miss any of your favorite winter date ideas? Share the love, and let me know in the comments below! Kindness: an underrated virtue that has the potential to positively change both your life and the lives of those around you. Today, I turned to my coworker and asked, “Do you ever feel like we collectively become less kind as we age?” When I say hello to the people I have not previously known, they often act like I don’t exist. Even people I am well acquainted with constantly fail to show up when we have plans together without taking the time to inform me their intentions have changed. And it’s not just my personal world that feels crueler. Especially with this past presidential election, rudeness seems to have flourished in the world. One of the unfortunate benefits of social media is that it allows people to say things to each other that they would never say face to face, so anyone can go on rants to either be ignored or, worse, praised. While I can’t prove that the world is a meaner place, I can do my best to combat the crudeness. How? In the words of many wise people, by “killing them with kindness.” I’m trying to be a kinder and caring person, and I encourage you to do the same. Because why not go ahead and make someone’s day? Say please and thank you. Often. Never underestimate the power of a simple thank-you. Let pregnant and elderly people have your seat on the bus or train. It's really that simple. Open doors. Hold the door open for someone carrying a bunch of groceries or a suitcase. Empty the dishwasher and take out the trash. Why not be a better roommate? Don’t leave your dirty dishes in the sink. Put them in the dishwasher you just emptied. Treat your team to coffee in the morning. Surprise your team with their favorite coffee orders waiting on their desk when they arrive in the morning. Pick up after yourself. If you’re at a restaurant or café that doesn’t have a busser, put your dirty dishes in the designated area. Throw away your trash. Be a decent human being. Don’t leave your shopping cart in the middle of the parking lot. Wear or use a gift in the presence of the gifter. It will make their day knowing you appreciate their kind gift. Send an old friend flowers. If they live in another city, brighten their day with a bouquet. Give away the books you’ve read. Go through your bookshelves. Pull out any books you no longer want, and donate them to a local library or charity. Respond to emails, texts, and phone calls. Don’t ignore your friends and family. When someone says hello, say hi back. It’s just plain rude not to. Recycle and compost as much as you can. We should be kind to the earth, too! Be an active and thoughtful listener. When you ask people how they are, listen intently to their response. Leave a generous tip to someone who has done a great job. Give more compliments. A simple “I love your dress” can go a long way. Buy a sandwich for the homeless person in front of the grocery store. Put change in a meter that’s about to expire. Forget about a debt that someone owes you. Ask the person who was supposed to pay you back to do the same to someone else in the future. Stop complaining. Your positivity will encourage other people to do the same. Be present. A kind person is authentic and aware of how their actions can affect people. Be a positive impact rather than a negative one. Pay it forward—share this list with the people you care about! How are you going to show kindness today?